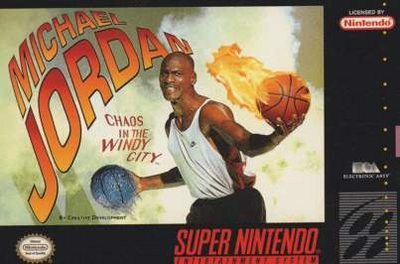 Michael Jordan: Chaos in the Windy City was released by Electronic Arts in 1994 for the Super NES. The game did not sell well and was named in the top ten worst video games in Nintendo Power magazine (issue 100); however, it was noted within the issue that the game was not entirely awful, but the concept itself was deemed ridiculous by many and thus was a part of the criticisms of the game itself. 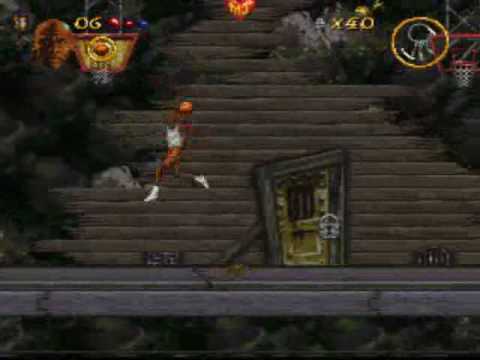 It features Michael Jordan, though unlike the similarly themed Shaq Fu, it is a 2D platformer along the lines of Mario. 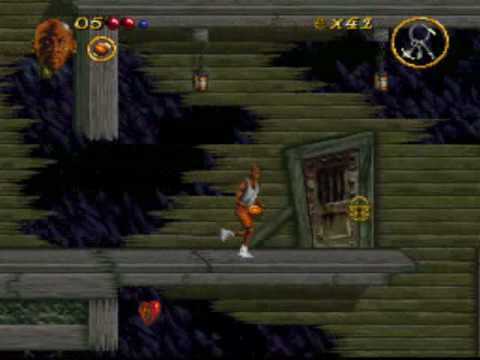 Michael Jordan: Chaos in the Windy City is a two-dimensional platform outing like any generic adventure game of the era. The plot follows Jordan as he tries to rescue his friends so they can play with him in a charity all-star game. Air Jordan has to navigate levels and collect keys to extricate his buddies while armed with little more than – wait for it – weapons-grade basketballs! His Airness is equipped with all manner of balls: ones made of ice, grenade balls, homing balls, and boomerang balls. It’s worth finding a ROM of this gem just to see how blatant the cash-grab was; it even made Nintendo Power’s list of the top 10 worst games of all time.